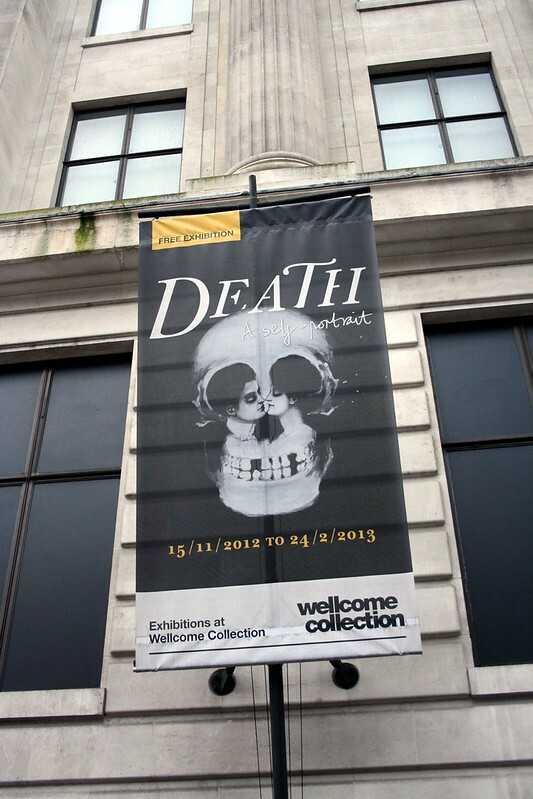 As I’ve mentioned before, I have traveled to London last Saturday to see the Death – A Self Portrait exhibition at the Wellcome Building. 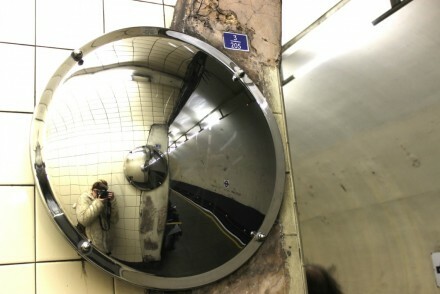 *WARNING* Some of the images might not be suitable for the most impressionable of us. 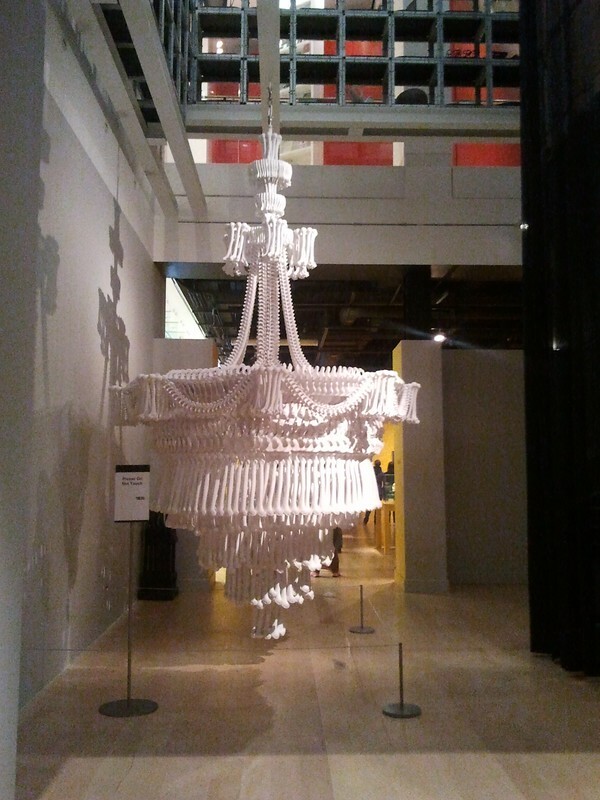 My curiosity was seriously spiked when I read more about what was on display – I had seen a similarly themed exhibition at the National Museum of Scotland (back in 2000, I think- it’s been so long I couldn’t find any reference to it online). That one was more focused on death rituals around the globe, with a more anthropological approach. 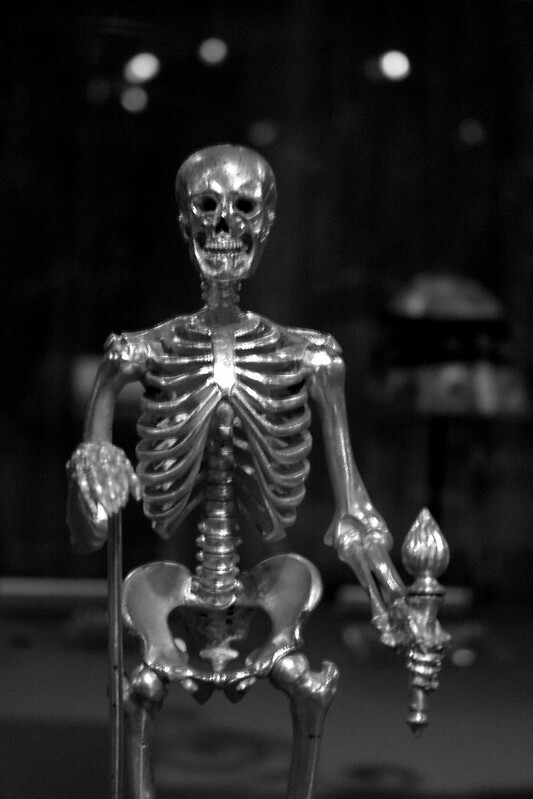 This time it was totally different, as it was a private collection of mostly art and some artifacts devoted to Death. So we went inside and I marveled at all the amazing art. 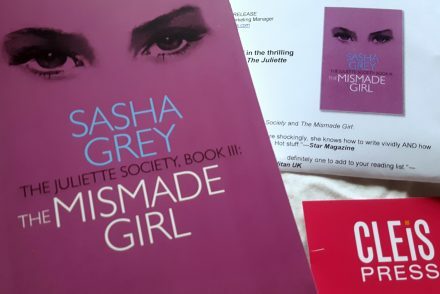 I absolutely loved it had a few great surprises! I didn’t see a sign until the end but I suspected photos weren’t allowed, so I just sneakily took a couple of general ones with my phone to illustrate the post. 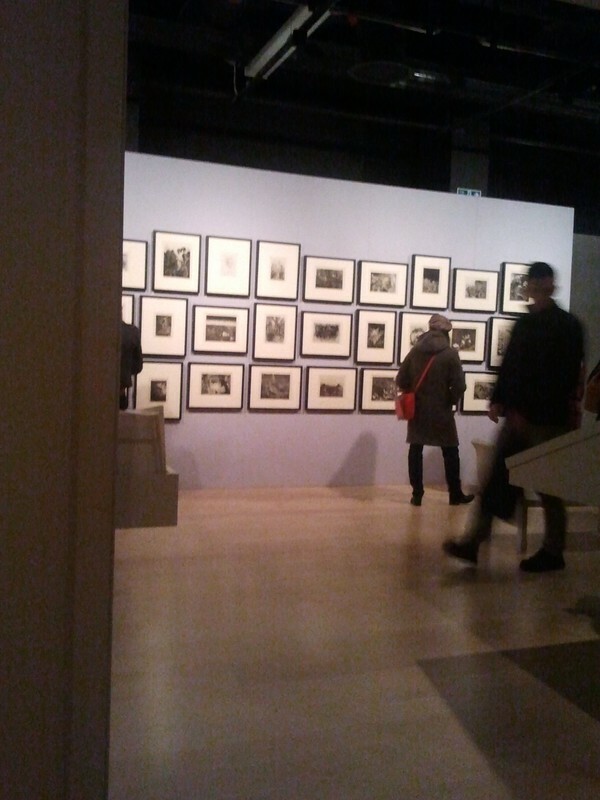 I had to show you this wall as it was one of my favourite bits of the exhibition – a collection of engravings by one of my favourite artists, Otto Dix. I only knew some of them from seeing them online and in books and it was a wonderful surprise to see so many in person. These were works made after he served in the 1st World War and depict the horrors of war. Some of them are not for the faint hearted. You can see some here if you are curious. There were also works from many other renowned artists like Albrecht Durer, Andy Warhol and José Guadalupe Posada, to name only a few from the top of my head. 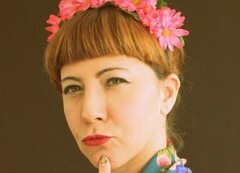 I also got to know the work of Marcos Raya through his family portraits and became an instant fan! Check it out here. 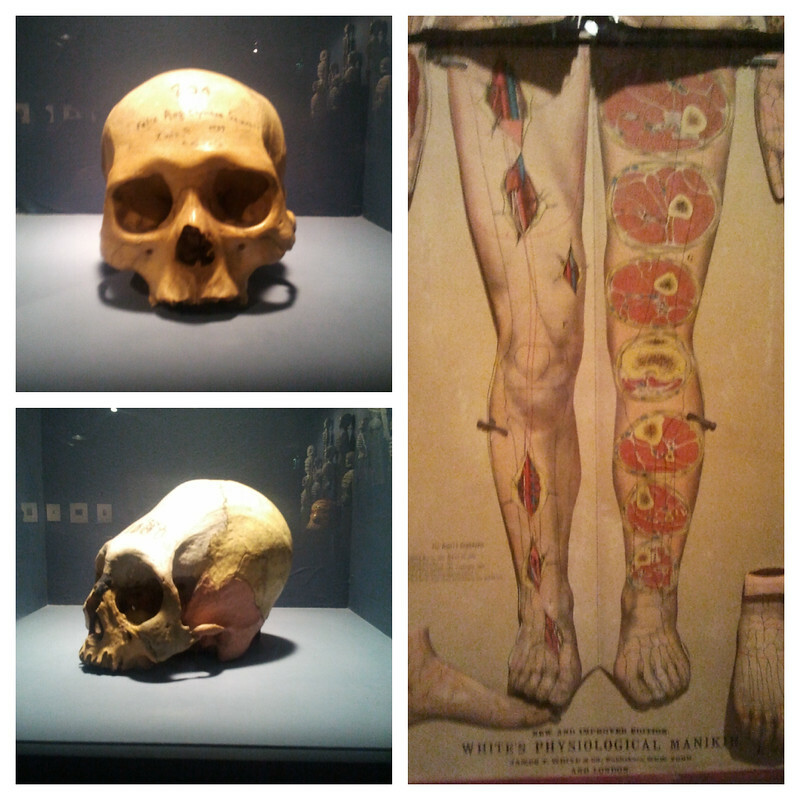 A couple of Peruvian skulls, one of them elongated and a physiological map of the body. After seeing all of it we proceeded to the upper level, where the permanent (and photographable) exhibition named Medicine Man was located. 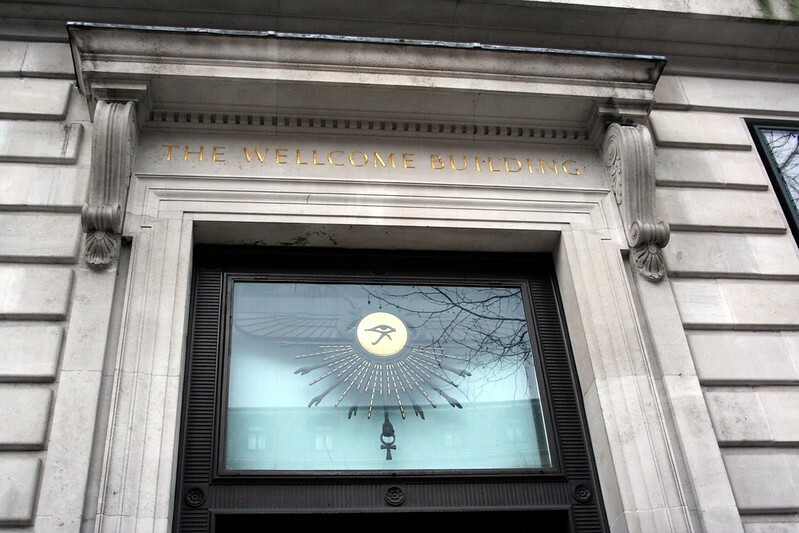 This comprises the collection of medical art and artifacts amassed by Sir Henry Solomon Wellcome. You can read more on the subject on the website. 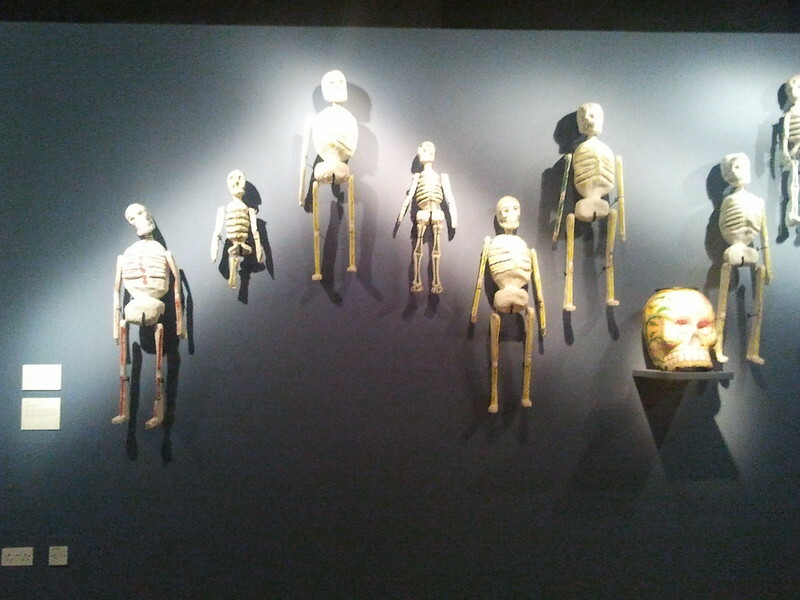 A collection of Ex Votos. 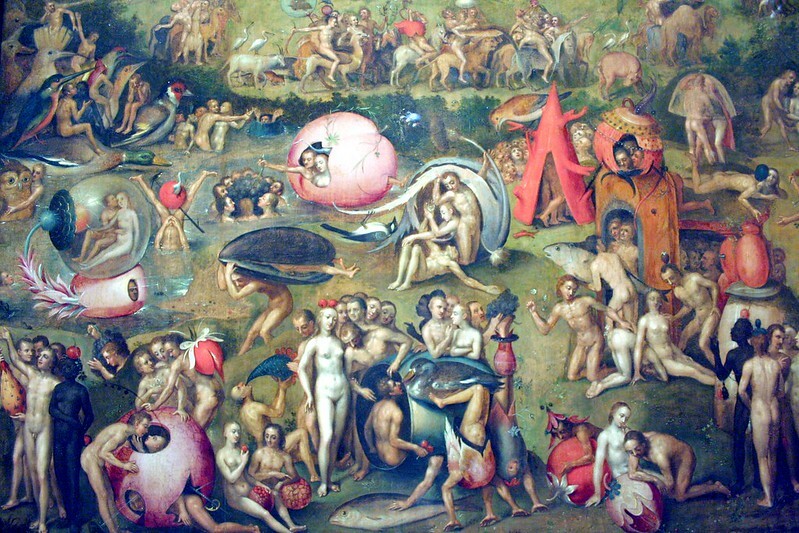 A detail of one of the known copies of Hyeronymus Bosch’s Garden of Earthly Delights. I am fortunate to have seen the original in the Museo Del Prado in Madrid, Spain, many years ago. 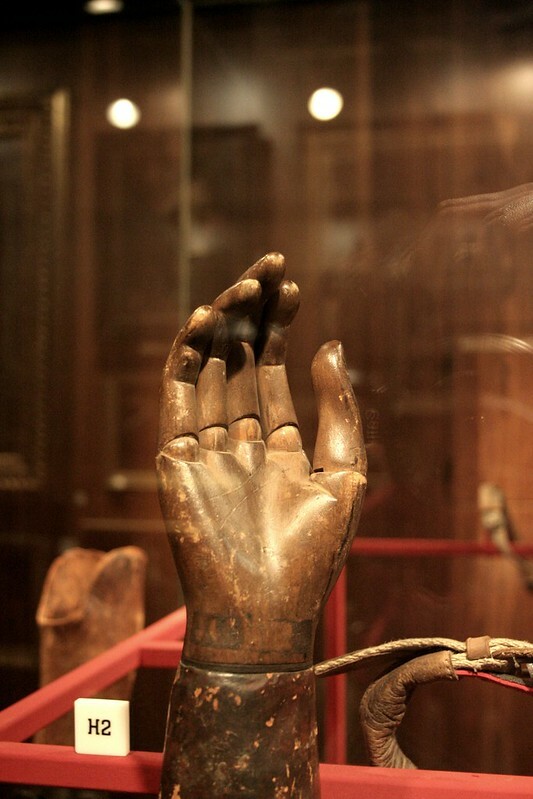 There was also a display with a collection of old prosthetic limbs. 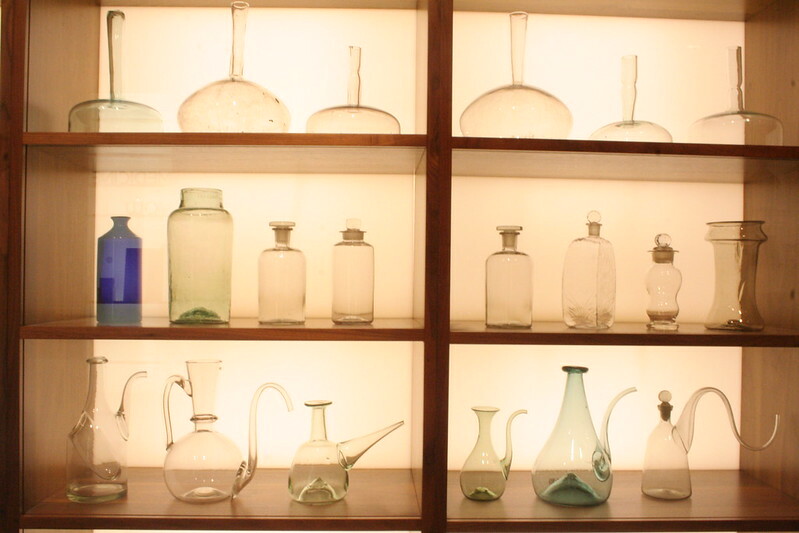 There is something about these old medical objects that is just fascinating. I don’t know if it’s because they were all made by hand, in metal, wood and leather and the craftsmanship is absolutely beautiful. 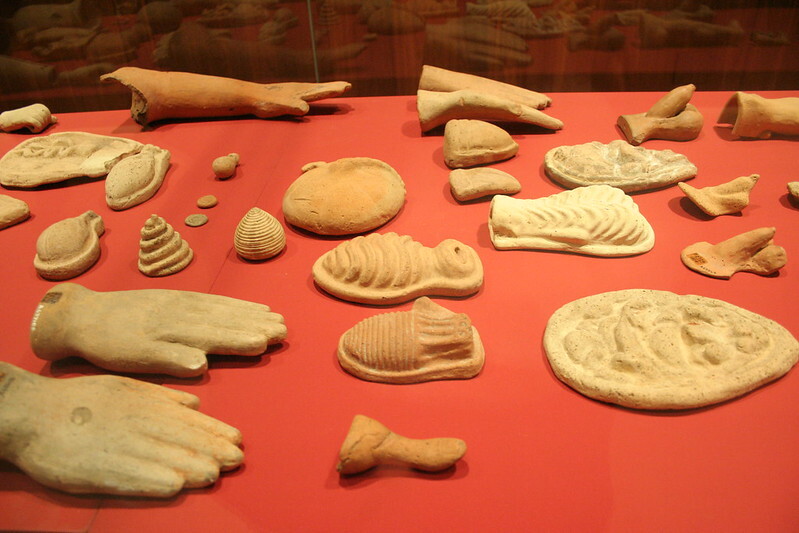 They may not be as practical and effective as the modern ones but surely make for some lovely museum pieces. 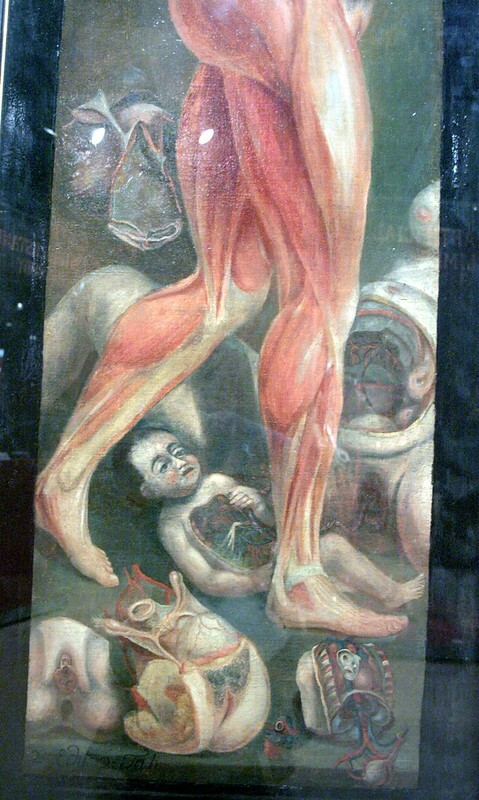 This is a detail of an anatomical painting depicting a pregnant woman – you can not only see all her muscles but also a cross section of her bump. On the bottom you also see other sections of the reproductive organs and also of a baby. After seeing this particular painting and some other objects on display it got me thinking that there was either a particular taste of the collector or the old anatomists in general for representations of eviscerated female bodies… hmmm. Food for thought. 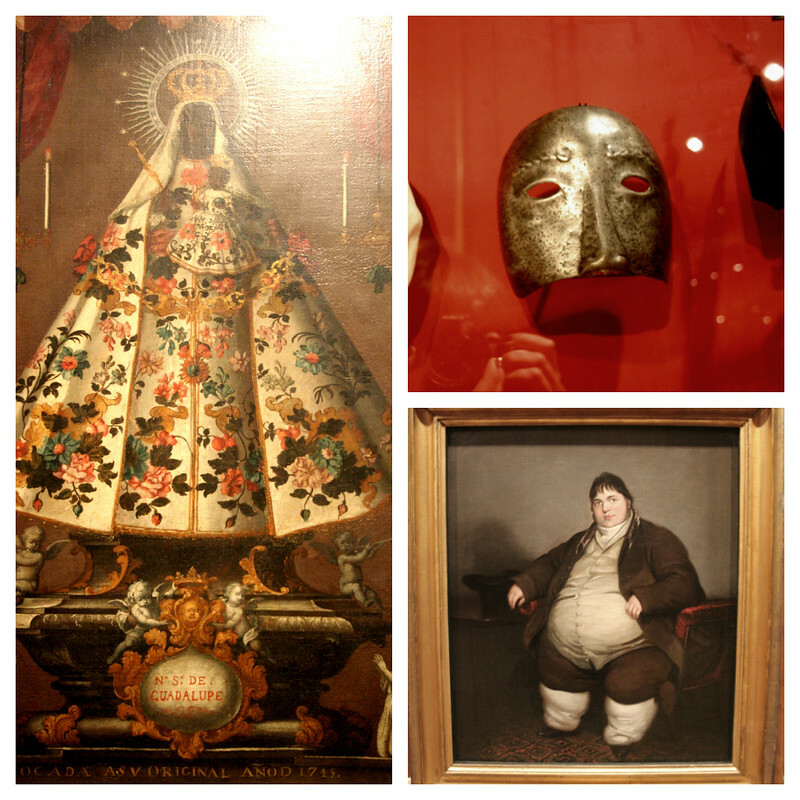 An Our Lady of Guadalupe, a Portuguese executioner’s mask (Iain spotted it!) and a portrait of this man who claims he only drank water and bread. 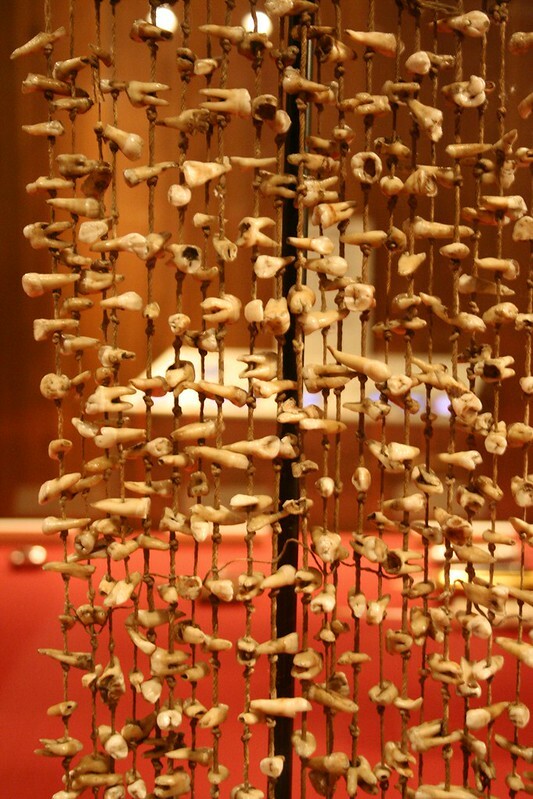 All of these teeth were hanging from a Chinese sign, that would be hung outside the doctor’s office. Not very inviting, is it? 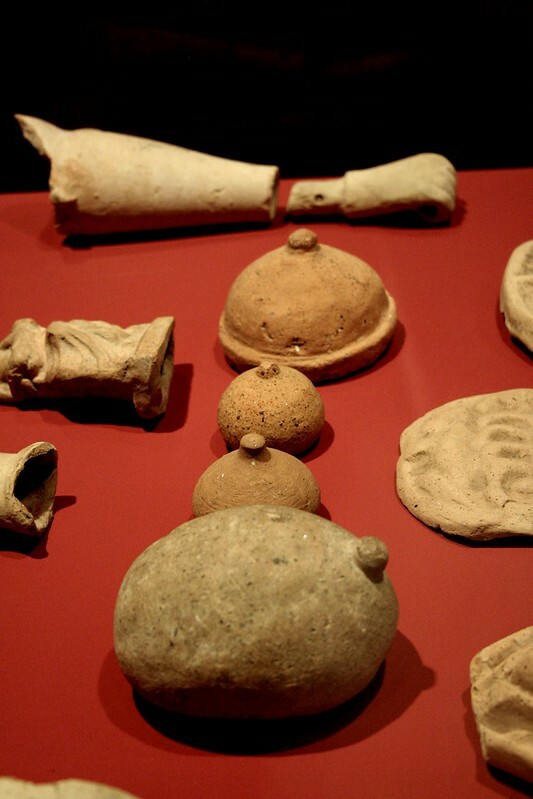 A set of Egyptian vases, where viscerae were kept after mummification. 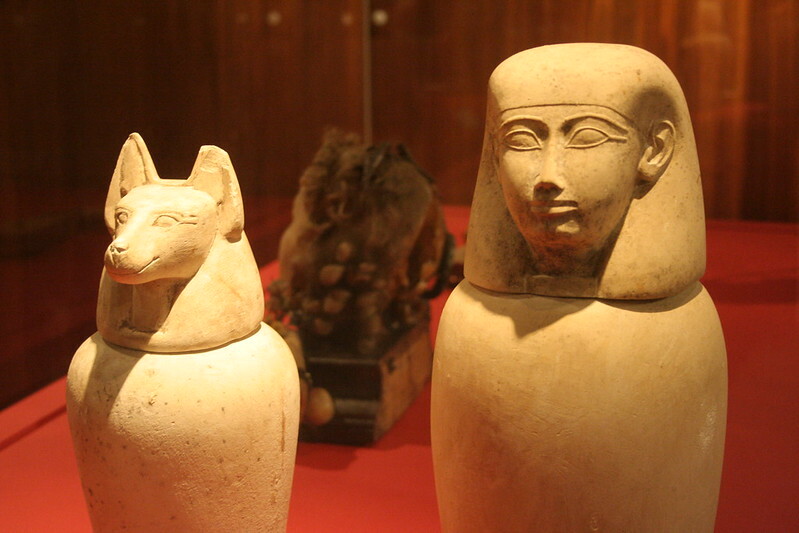 The one on the left looks like a jackal, symbol of Anubis, the god of after-life and mummification. 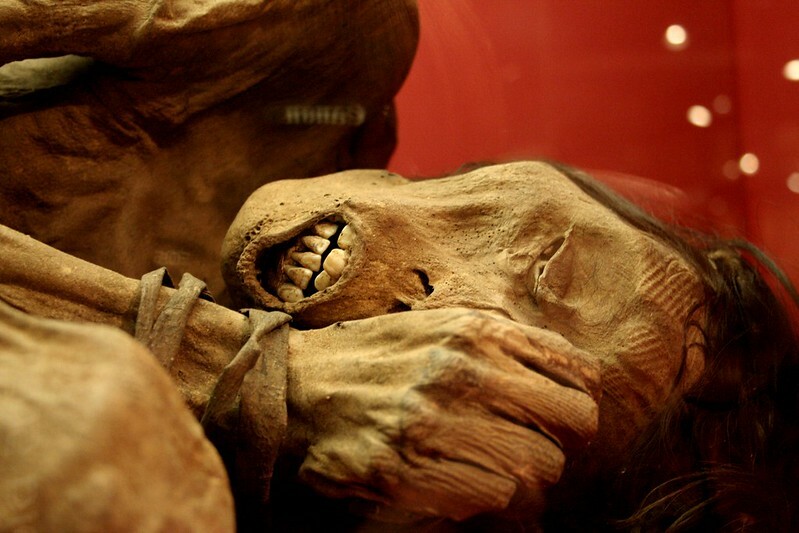 Detail of a mummified male body from the Chimu people from Peru (from around the 13th century AD). 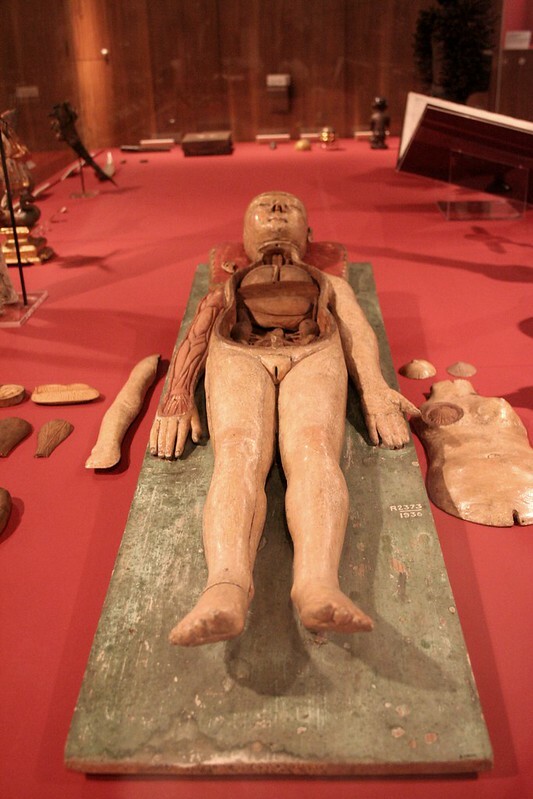 How well preserved is that? 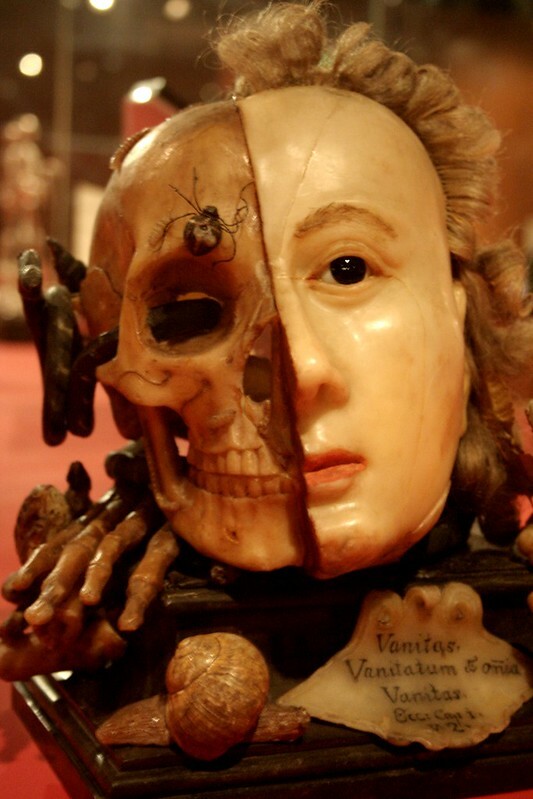 A wax Vanitas Vanitatum sculpture. Very eerie looking, don’t you think? 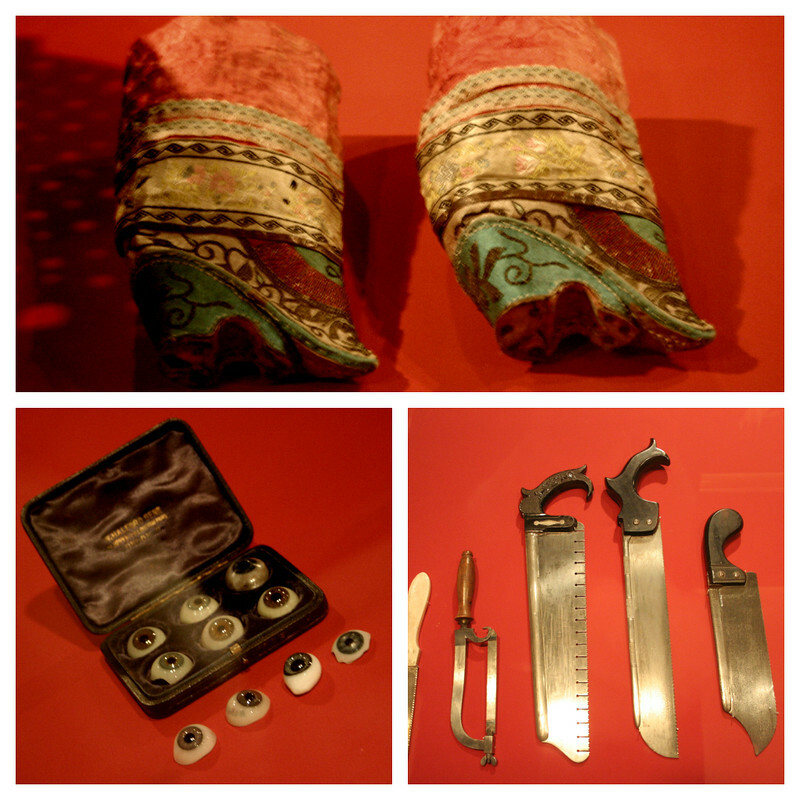 Tiny Chinese lotus feet shoes (for bound feet), prosthetic eyes and surgical saws. Gruesome! 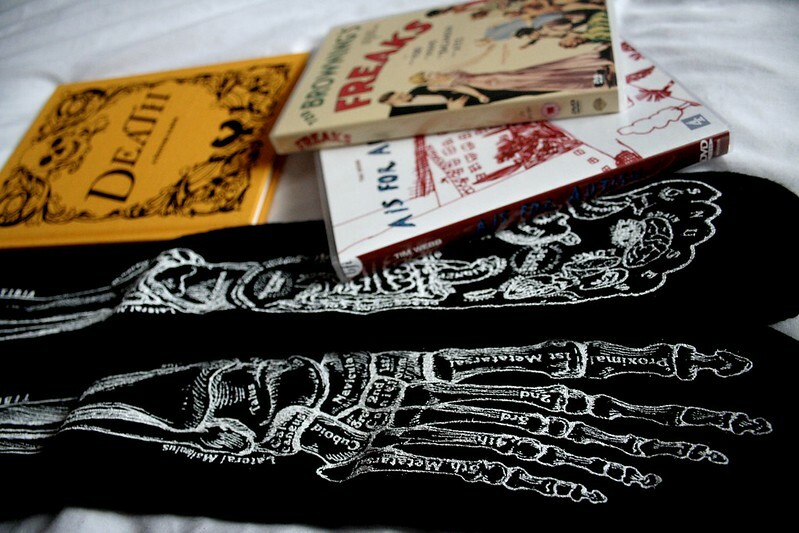 Skeleton socks, the Death exhibition catalogue, and two DVDs – Tod Browning’s Freaks (gooble gabble, an absolute classic) and A is for Autism, to give to one of my good friends whose son is autistic. 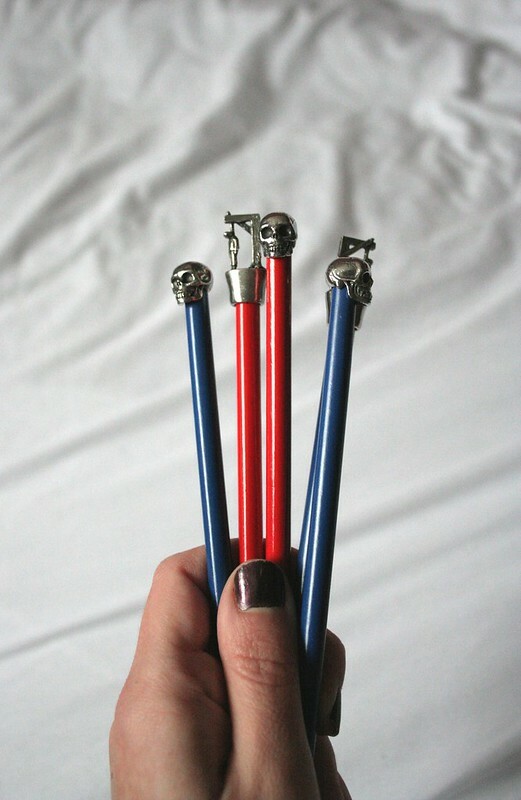 I also got these pencils, I think they’re brilliant! Death has been very present in my life, as it took away a few of my close family members already. It’s never easy to accept or deal with but we must try. 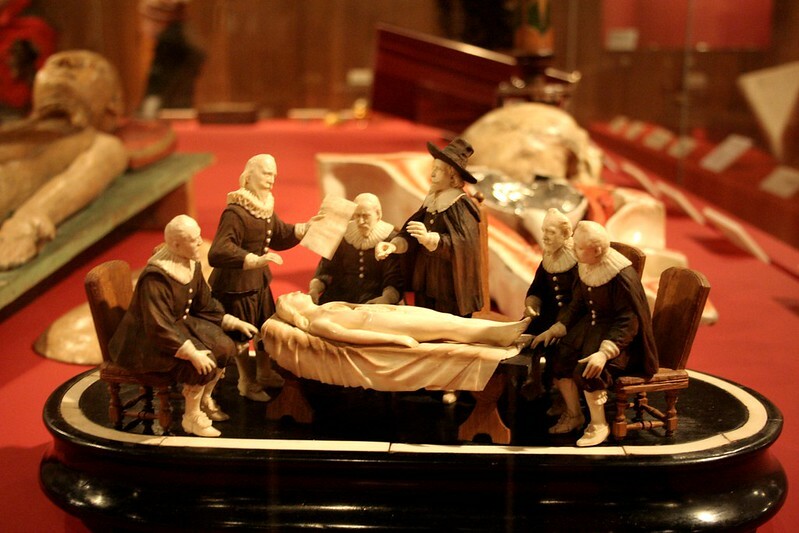 I find it very painful but also fascinating to think about this – what happens when we die? Are we going to see our loved ones ever again? Are we ever going to be reborn? We will never know the answer to these questions. Recently in one of the Buddhist meditation sessions I attended the theme was Death- that we should remember that it can happen at any moment and that we need to do what makes us happy and not waste time or energy on negative activities. I think this is the best way to deal with the idea that one day we will not be here. What do you think about a exhibition like this? Would this be something you would be interested in visiting?